Mulch - what is it? Mulch is any substance laid over the soil to help plant growth, mainly by suppressing weeds. 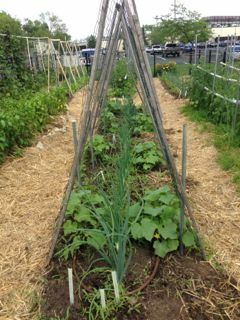 Apply when your vegetable plants are approximately 4 inches high and your garden soil has warmed up. Cover the soil completely leaving the base of the plant stem clear. 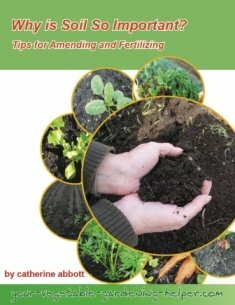 Some materials will decompose quicker than others so lay a fresh layer during the season when needed. Tip #1 Some Root Vegetables can be left in hte garden over winter. Protect the plants from the elements by covering the plant with several inches of material. Tip #2 Collect and use materials that you have on hand. If you live in a tree lined street or have lots of trees in your yard, make sure you take the time to collect the leaves. Shredding them is the best, put them in a garbage can and use the weedwacker to shred them. 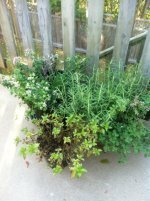 Reduces evaporation, soil stays moist longer. Keeps soil temperature cooler and more stable. 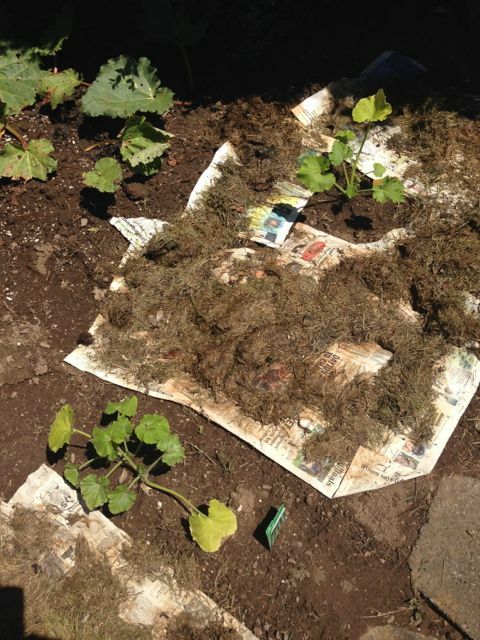 Provides a clean, dryer surface so sprawling vegetables are off the bare ground, for example squash. Organic materital decompose adding organic matter to the soil. With the soil covered the darkness promotes a haven for earthworms. It will keep the soil cooler in the summer which will be a benefit for cool season vegetables. Using black plastic can speed up the soil temperature in the spring. After your soil preparation lay the plastic. Secure by burying the edges with the soil or placing rocks or wood on top. Cut small holes where you will sow your vegetable seeds or transplants. The black plastic will also suppress weeds. Clear plastic will also warm the soil however weeds will grow under it because they will get the sunlight. If applied too thick it can restrict the passage of water. Keeps the soil temperature too low which will affect the growth of warm season vegetables. Can promote fungus and disease. Can encourage pests like slugs or mice. Some types can cause a nitrogen deficiency, one example is sawdust. Mulching can be beneficial as well as detrimental, so be clear on why you want to use it, then make sure you apply the correct material and amount. Find more about planting a vegetable garden.